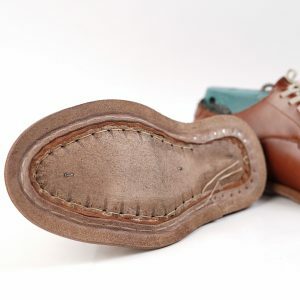 Goodyear Welted Construction is considered as the oldest and the original method to make high quality leather shoes, that patented by Charles Goodyear Jr. in 1839. 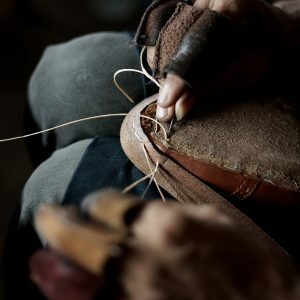 This method uses a leather stripes known as ‘welt’ to be stitched to the upper of the shoe before the whole part assembled with the outsole. Every shoes that built by this construction will be resoleable. While the upper still in good condition and the outsole is going to be damaged, we can resole them and your shoes will be ready to go again. That’s the biggest advantage we will have by using Goodyear Construction, and that’s why it is widely used until today. We use the traditional Goodyear Construction, the truest one that made by hand and that’s what we always do. All the welt stitching you own from our collection are hand stitched carefully one by one, by the hand of gold that needed many years of shaped experience to make one pair of shoe that meets our highest possible standard. 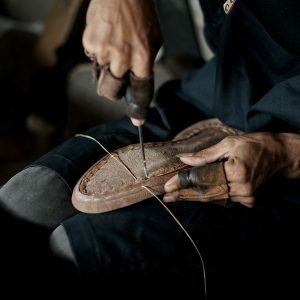 We know that it is indeed take a long time and effort to make a good pair of shoe. But we take no shortcut, because we want our products last your lifetime.